Greubel Forsey unveiled this $1.3 million Sapphire watch at this year’s Basel Watch fair. A single piece of a sapphire was used to produce the entire case of this watch, about 8 pieces, which reveals the 396-part movement of the watch. When it comes to making use of high-tech materials for watchcases, this watch brand may have paved the way for other watch brands to follow. Even though certain brands in the past such as Cartier and Corum had made use of sapphire crystals to show their movements, they still had to include a little bit of glue. This is unlike the sapphire Tourbillion 30-Degress Technique sapphire watch, which used the only sapphire for the entire case. This watch was first unveiled during the Firestone 600 Verizon IndyCar Series races at Texas Motor speedway. According to the makers of this watch, only 8 pieces will ever be made and Chilton already owns one of it. This means that the few left will quickly be snapped up. There are a few things that make this watch a very interesting timepiece. For starters, the manual movement of this watch is made up of 19 individual parts and every one of them is hand-finished with a cross-grinding motif, which provides a machine-like appeal. 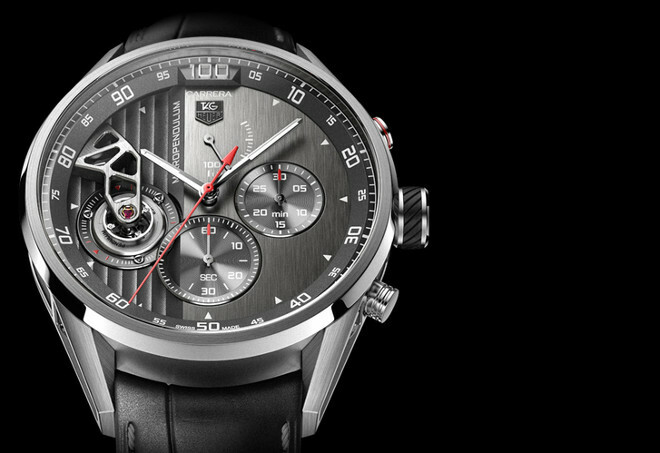 The timepiece also comes with double barrels, which provides the user with eight days of power reserve. You can easily see the barrels through the sapphire case-back. In addition, on the main face of the watch, it has a small seconds dial at 9:00, which also serves as the power reserve indicator. This brand was founded in 1990 by Silberstein and for those who know him very well, he is renowned for his bold use of geometric shapes and colors in his watches. The new M&F Legacy No. 1 follows suit with the same bold punch. In this new watch, the watchmaker blended his love for blue, red, and yellow with his known rectangular and triangular markers to produce the dial of the Legacy Machine dial. The hands and subdials of the watch are concave rather than flat – a contrast to the boldly convex domed crystal. The watch offers two independent dual time zones, as well as hours and minutes. Patek Philippe, a watchmaker based in Geneva created this amazing watch and the brand’s ability for diamond setting can be easily seen on this timepiece. Both the dial and the bezel of the Diamond Ribbon Joaillerie watch are made with a spiral, which consists of 587 diamonds totalling 3.02 carats. In addition, 48 diamonds, which totals 0.17 carats were used in setting the lugs of the watch. The Diamond Ribbon Joaillerie watch has just shown that Patek Philippe is still a leading watch brand when it comes to perfectly setting diamonds in watches.